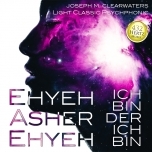 Joseph M. Clearwaters music, he mentioned it himself as “LIGHT CLASSIC PSYCHOPHONIC” (LCP) is the cognizant channeled energy in the musician form. This brand-new disposition of music – it's only a attender for human beeing – is touching us in the depth of our soul and causes healing there. The music, used by many therapists, healers, spiritual interested men all around the world – but it`s also still an insider tip. LIGHT – as a symbol of mans intensed noticeable potency. CLASSIC – as a symbol of traditional musical construction. PSYCHOPHONIC – the effect of the channeling music to the mind. Since twenty years he is composing in this way. He is only conducted by his intuition. For long years he had attended Channeling Seminars, and so he had the experiences of the members boosted in a dynamic way. Thereby he collected precious gains in experience about the musics impression to the people. He grows up to an unique Music-Channel, who knows virtuoso, how to transcript spiritual energy into soulful compositions. The music of Joseph M. Clearwater let sound the deep of the soul, produces in that way a holistically healing. It have her own character, which is unique in the whole world. The result is a kind of music, which is not only touching your souls deep, it`s also stabilization for your character, and it`s a backup for your spiritual, energetic and emotional realisation. With his music, which is chancing between powerful and acute sections, he is giving us the power to see the light on the end of the darkness. The music is ideal for your meditation, for attendance for your healing therapy and treatment, for activation of your self-healing capacity, for abatement of illness and for mental troubles. Because of dynamic character of this music, it's also dedicated to touch your rooms in a positive light and to change embittered energy into good, for instance in commercial meetings. In it`s effect directly to the souls level, you could comparing the music with the Bach Flowers. Joseph M. Clearwater, born in 1962, is married and father of three children. Take your time and listen to the audio-tests, and you will see: The music will catch you in a unbeknown, angelic way! But be aware: A few minutes like the audio tests can`t never deconvolve such an intensity and power like a whole composition! The function of the Music-Drugstore is to distribute the music of Joseph M. Clearwater among to all people. Legal downloads are the future of the music industry, and that`s why we chose the internet. The titles of the Music-Drugstore are files in MP3-fomat 192 kbit/s, 44,1 KHz Stereo. It's comfortable to get only one title – specially the favored title – without all the other titles, like it`s on CDs. Don`t be too shy to contact us if there are any questions, e. g. about the download or how to get the music in another way! 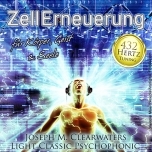 Joseph M. Clearwaters music, he mentioned it himself as “LIGHT CLASSIC PSYCHOPHONIC” (LCP) is the cognizant channeled energy in the musician form. This brand-new disposition of music – its only a attender for human beeing – is touching us in the deep of our soul and causes here healing. The music is in use by many therapists, healers, spiritual interested men all around the world – but it`s also still an insider tip. The music is ideal for your meditation, for attendance for your healing therapy and treatment, for activation of your self-healing capacity, for abatement of illness and for mental troubles. Because of her dynamic character its also dedicated to touch your roums in a positive light and to change embittered energy into good, for instance in commercial meetings. In it`s effect directly to the souls level, you could comparing the music with the Bach Flowers. Joseph M. Clearwater, born in 1962, is married and father of three childs. He is living very withdraw to concentrate himself only to the music. Take your time and listen to the gratis audio-test, and you will see: The music will catch you in a unbeknown, angelic way! But be aware: A few minutes like the audio tests can`t never deconvolve such an intensity and power like a whole composition! 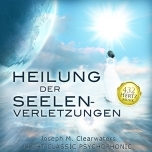 The function of the Musik-Apotheke is to distribute the music of Joseph M. Clearwater among to all people. Legal downloads are the future of the music industry, and that`s why we chose the internet. The titles of the Musik-Apotheke are files in MP3-fomat 192 kbit/s, 44,1 KHz Stereo. Its comfortable to get only one title – specially the favored title – without all the other titles, like it`s on CDs.